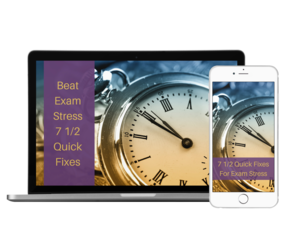 In addition to all of the articles, videos and podcast episodes you can find on this site, here are some deeper-acting resources that can make a huge difference for you and your child as they prepare for their exams. 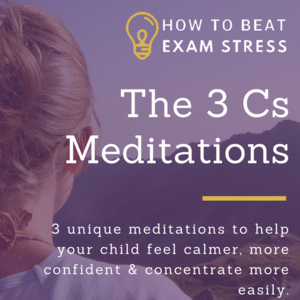 Each month I run a 90-minute online workshop to teach you techniques that will help your child to beat exam stress. 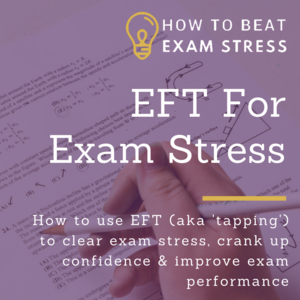 The next few months are covering mindfulness for exam stress and EFT ('tapping') to release stress and fear and crank up confidence levels. For those times when you need exam stress quick fixes - fast. 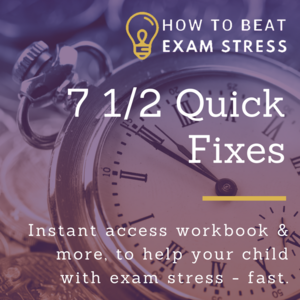 These 7 1/2 inspirational techniques can help your child to turn around exam stress, to feel more positive, to concentrate more easily and to get better results from their revision practise and in the exam. 10 inspirational techniques - 10 minutes - 10 days. 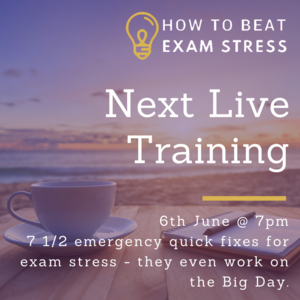 This course is perfect for when you and your child need to dive in more deeply and clear out the hidden causes of exam stress and lack of confidence. It draws from the worlds of practical psychology, mindfulness, yoga and mindset to bring you the techniques you need to turn things around in a way that's easy and fun. 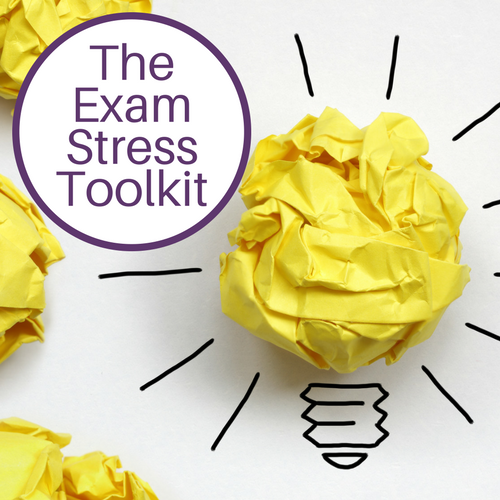 Get weekly support with Clare Josa's Beat Exam Stress newsletter.